One of my most favorite lipsticks ever! Today I'll be reviewing this amazing lipstick for you. I've bought this lipstick on the same day when I got my first high end lipstick from my sister as a birthday gift (Which is my other favorite and I'll review that one soon too). Totally didn't plan on buying this lipstick, but my sister and I fell for it 100% and so we both got the same color! A lipstick with a hydra-gel core for a top coat effect that flaunts audacious shine. 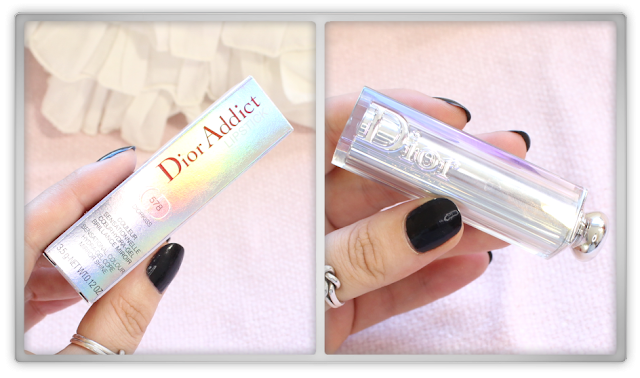 Dior’s Addict Lipstick is infused with expert oils and has an ultra-moisturizing soft core that runs the full length of the stick. It’s enriched with Shield oil to ensure that lip color adheres to lips and stays put. Layer after layer, it works like a top coat, leaving lips with a boost of shine and high-impact color with unbelievable comfort. 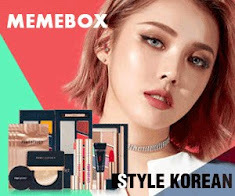 As you can see on the previous picture the little box is so cool and the lipstick looks so fancy! There is this purple kind of glow inside the packaging. The in the lit is a strong magnet which keeps the lipstick closed. The swatch picture is not as it should; mostly the left swatch is the intense swipe, but since it's a shiny moist lipstick it reflected the light. 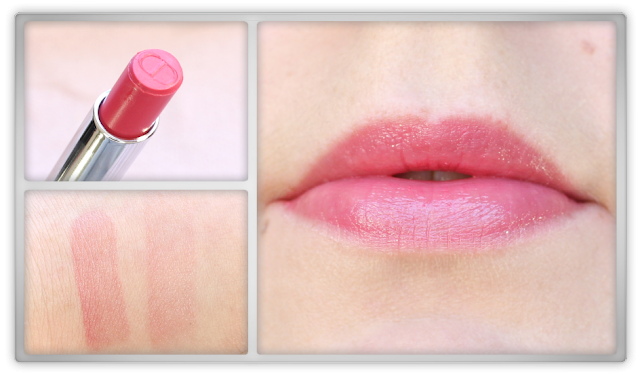 This lipstick glides on like a lip balm and the effect is super seamless! You can see this in the picture, it doesn't even creep in lines or attach on dry parts of my lips. It really long lasting, but when you eat like lunch or dinner (full meal) then you probably need to reapply a bit. It sits on you lips a tiny bit dryer that when you first applied it, but still it feels like you have moist and healthy lips. When you "mmm" you lips you won't it push it to the sides, it stays perfectly in place. I can't smell a scent of this lipstick or even a taste, which is super lovely! This color it a hot pink kind of color but in a soft romantic way. 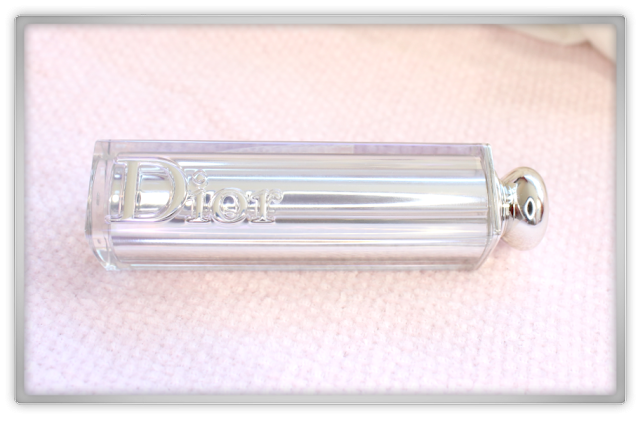 I wear it so often and it matches with so many outfits, it's standard in my purse! A super easy wearing lipstick and a great daily color. The only tiny downside of this lipstick is in the beginning: If you twist the lipstick all the way in and want to close it, then you have that little ridge with the logo in the lipstick. This is the only part that sticks out of the lipstick and so you have to be careful when you put the lit back on. This is only like 1 or 2mm and I'm already at -5/6mm, so no more careful lit closing moments for me anymore. I absolutely love this lipstick and recommend it to everyone, truly!